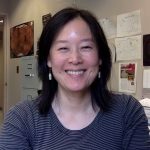 Nancy Y. Kiang, PhD, is a biometerologist who measured the water and carbon fluxes from a California oak savanna while in graduate school. She studies such fluxes now for global vegetation in an Earth global climate model (GCM) at the NASA Goddard Institute for Space Studies in New York City. She got hooked into Astrobiology wondering about alternatives to the vegetation red-edge, which led her to work with astronomers, planetary atmospheric modelers, biochemists, and biophysicists. Most recently, with a microbial ecologist, she has discovered another strain of far-red/NIR cyanobacteria as a model organism for photosynthesis around M stars. She and other colleagues are now upgrading their Earth GCM to simulate the climate and impacts of alternative life on the early Earth, early Venus, Mars, and exoplanets. As NASA civil servant, Dr. Kiang foregoes any payment or rewards for her contributions to this platform. Specifically, Dr. Kiang foregoes any bonus from our Author-of-the-Month award; the bonus stays in the prize pool for next month's award.